Book your time with an eConsultant® here. Scroll to the bottom of this page to learn why you should benefit from our eConsultant service. 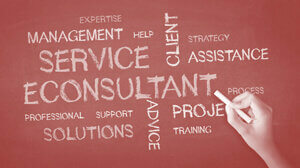 How does the eConsultant® service work? Imagine having the best consultants in the industry at your fingertips. Well, that’s what our eConsultant® service is offering to you. This is how. Choose from available dates and times to start your 45-minute eConsultation. If you prefer more time, simple book more time. For just $100 USD, you have access to the world’s best IT management expertise. You can tell us in advance in the Notes field what it is that you would like to talk about, or leave it blank and ask away during your eConsultation. You decide! You have the option whether you prefer a phone call or a virtual online meeting. The latter option will allow for face-time and for sharing screens. Your call, just let us know! I’m wondering about how do other companies implement a specific best practice? I like what I’ve learned during a training course, but where do I even begin? The people around me are resisting the changes that I am proposing, so where do I go from here? But feel free and choose any IT management topic you wish. Interested!? Give it a try and book your time with an eConsultant® here.